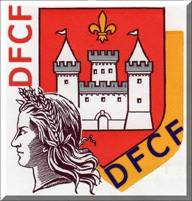 – Pierre-Marie F4FCE will active as F4FCE/p on the 20th of October from La Motte Favier Castle, WCA: F-06664 (NEW ONE), DFCF: 45-097 (NEW ONE) located in Vallée de l’Aquiaulne, WWFF: FFF-2598, Moulin Bourgois, DMF: 45-026. QSL via bureau or direct. 73 & 44 & 11! [tnx info F4FCE].